You can apply VAT in Pleo by creating a tax code and attaching it to a specific category. Once the VAT is chosen, this will be auto assigned to the expenses in that category. What happens to the export? 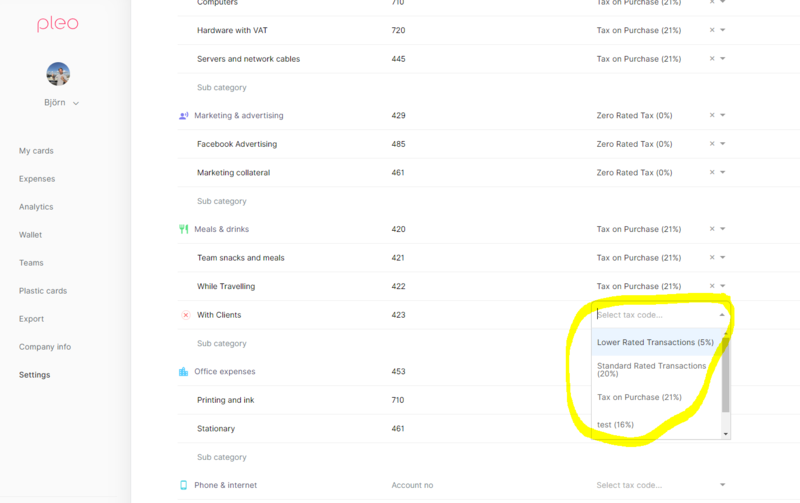 You will now have 3 columns when exporting (depending on your accounting system) that will include Tax Code, Tax Rate and Tax amount.